We’d love your help. Let us know what’s wrong with this preview of Eden by Jeanne McWilliams Blasberg. Becca Meister Fitzpatrick--wife, mother, grandmother, and pillar of the community--is the dutiful steward of her family's iconic summer tradition . . . until she discovers her recently deceased husband squandered their nest egg. As she struggles to accept that this is likely her last season in Long Harbor, Becca is inspired by her granddaughter's boldness in the face of im Becca Meister Fitzpatrick--wife, mother, grandmother, and pillar of the community--is the dutiful steward of her family's iconic summer tradition . . . until she discovers her recently deceased husband squandered their nest egg. As she struggles to accept that this is likely her last season in Long Harbor, Becca is inspired by her granddaughter's boldness in the face of impending single-motherhood, and summons the courage to reveal a secret she was forced to bury long ago: the existence of a daughter she gave up fifty years ago. The question now is how her other daughter, Rachel--with whom Becca has always had a strained relationship--will react. To ask other readers questions about Eden, please sign up. family through multiple generations. Now in her 70’s, Becca is the current owner along with her two brothers. Her secure life becomes unhinged after her husband's death . She finds out that he has mismanaged their retirement funds and she can no longer support the upkeep on the house. She is forced to reach out to her family for help. Fearing that this could be her last summer in Eden, she invites her children along with her brothers and extended family to celebrate July 4th. With the entire clan present, she hopes to secure a future for Eden. Becca decides that it's also time to reveal some Meister family secrets that originated in the house. This novel is so good. It has attached me in the first couple of pages when I started reading it and it's story got into my head so quickly. I'm not so into drama because it's not kind of worth it but the drama in this book made me have second thoughts about how people react when it comes to drama action. It had a lot of characters which I would have had found it difficult if there was no family tree in the book so this was an easy to remember everytime character's name show up I would go and see This novel is so good. It has attached me in the first couple of pages when I started reading it and it's story got into my head so quickly. It had a lot of characters which I would have had found it difficult if there was no family tree in the book so this was an easy to remember everytime character's name show up I would go and see the family tree. I got to learn more of the England culture of family story and their love and all the secrets that we were amazing written by the amazing talented author. I simply recomend you to read the book because it's not bad enjoying some time with a book. I wondered a couple of times thinking if this was real maybe it happened but it's a novel. While on summer vacation, I was thrilled to make a small dent in my ever growing TBR by reading nine books, all of which were good (amazing in and of itself because I tend to be a picky reader). My two favorites BY FAR were Eden and Party Girls Die in Pearls by Plum Sykes, two very different but equally fabulous reads. Eden combines a beautiful setting with well-drawn and complex characters and a superb plot. As the book opens, Becca, the family matriarch, has learned that the beach house (Eden) While on summer vacation, I was thrilled to make a small dent in my ever growing TBR by reading nine books, all of which were good (amazing in and of itself because I tend to be a picky reader). My two favorites BY FAR were Eden and Party Girls Die in Pearls by Plum Sykes, two very different but equally fabulous reads. Eden combines a beautiful setting with well-drawn and complex characters and a superb plot. As the book opens, Becca, the family matriarch, has learned that the beach house (Eden) where she has spent every summer for decades will have to be sold. She gathers her entire family together to celebrate the 4th of July and attempt to find a way to keep Eden in the family. The story unfolds across generations and time periods as both Eden’s and numerous family members’ stories and secrets are revealed. I truly loved this book and cannot say enough good things about it. I was so sad when it ended but thought the ending was perfect. I was also please that the author included a family tree at the front of the book because there are a lot of characters, and it was so helpful to flip to it early on when I was having trouble keeping everyone straight. Eden has definitely secured a spot in my best reads of 2017 list, and I have been recommending it to everyone I know. Family saga than spans generations- loved the relationships and drama with the historical backdrop that included the stock market crash, the hurricane of 1938 and World War II...full review to come. Follow my blog Book Nation by Jen for all reviews and recommendations. The mystery unfolds with Eden as a common thread that keeps the family connected. Throughout the highs and lows of each individual story, love and family prevails. I enjoyed reading this book. Wow!Wow! Wow! Kudos to Jeanne McWilliams Blasberg,author of “EDEN” for such an intriguing and amazing story. I love the way the author weaves the story of several generations of families that Eden is a home to. The genres of this novel are Fiction(Adult) and Historical Fiction. The characters are described as complicated and complex. The timeline in the story vacillates between the past and the present day. I can see how “Eden” is built as a house that becomes a “home” to the various family members, over the years. Certain traditions continue through the years. The artistic descriptions of the home and coastline are breathtaking. The ocean’s beauty and wrath can be seen. The author describes how the several generations of women tried to conform to the standards of the time. Many years ago, certain illnesses such as epilepsy had to be kept quiet. Single pregnant women went “away” and had to give their babies away. Many years ago mental illness and depression carried more of a stigma. As the years progressed standards did change, but there were different stigmas. As we are introduced to each family member, we can see that Eden holds a special bond of family meetings and traditions. In each generation, there are hardships and heart breaks and secrets. The secrets from the past continue to play a part in the present. There is a possibility that this will be the last summer at Eden, due to financial problems. There are differences of opinions how this problem should be dealt with. Will this be the end of a generational family tradition? The author discusses such topics as family, love, traditions, secrets, and hope. I would highly recommend this novel for readers who love historical literature. family and love. This novel had me captivated and I didn’t want it to end. I received a copy of this novel for my honest review! Happy Reading!!! 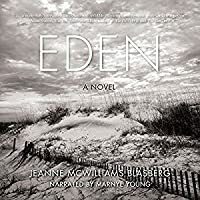 EDEN by Jeanne McWilliams Blasberg is a story about the Meister family and their love affair with Eden, the family's summer home. This beautiful, rich, character-driven story spans many generations and seamlessly alternates between different points of view, both in the past and the present. Becca and her two brothers preside over Eden. When Becca's husband unexpectedly passes away, she is left penniless and in debt and must fight for the house to stay in the family. I fell in love with the heave EDEN by Jeanne McWilliams Blasberg is a story about the Meister family and their love affair with Eden, the family's summer home. This beautiful, rich, character-driven story spans many generations and seamlessly alternates between different points of view, both in the past and the present. Becca and her two brothers preside over Eden. When Becca's husband unexpectedly passes away, she is left penniless and in debt and must fight for the house to stay in the family. I fell in love with the heavenly beach setting. I love how real the characters felt and how engrossed I was in the story of these women. This was a masterful debut novel by Blasberg and I cannot wait to see what she comes out with next! I highly recommend this to anyone who LOVES reading about family drama with plenty of secrets! Thank goodness for the family tree in the beginning of the story or I would have been completely lost! I loved the beach front setting and the beautiful house Eden but flipping back and forth in time totally had me confused! This was an interesting family saga with characters I had a love/hate relationship with. Beautiful prose and a first book worth reading. "Eden" is in my favorite genre--psychological family drama. Like other mothers, the women in the Meister clan who are mothers or mothers-to-be make demands on their children whom they love but they also stifle them, especially their daughters. They stifle their own feelings as well. "Eden" is emotional and dramatic and things left unsaid result in the main characters being blind to what is going on in their own families. The unspoken is sometimes far more powerful than what's spoken as the family reveals long-held secrets. What is moving in "Eden"--and skillfully crafted by Blasberg--is not that the gulf between parent and child has been closed but that it's still there. A very timely exploration of stressed relationships that is terrific reading! Jeanne McWilliams Blasberg’s debut novel, EDEN (SheWritesPress) is inspired from her own personal childhood journals. It’s the story of the wealthy multi-generational Meister family between the years 1920-2000, when the United States experienced seismic social, technical and economic tipping points. Becca Meister Fitzpatrick, wife, mother and grandmother has been the anchor encouraging family members to return every summer to the Rhode Island, oceanfront estate, “Eden.” “Eden,” which Becca’s pare Jeanne McWilliams Blasberg’s debut novel, EDEN (SheWritesPress) is inspired from her own personal childhood journals. It’s the story of the wealthy multi-generational Meister family between the years 1920-2000, when the United States experienced seismic social, technical and economic tipping points. Becca Meister Fitzpatrick, wife, mother and grandmother has been the anchor encouraging family members to return every summer to the Rhode Island, oceanfront estate, “Eden.” “Eden,” which Becca’s parents built for the family, is the biblical word for paradise and there are biblical undertones throughout the book, which add to the flavor and complexity of the novel. It starts in the 1920’s, when patriarch, Bernard, changes the spelling of his name, arrives at Yale, able to pass so he can maneuver his way into society. He marries, Sadie, a woman outside his faith which causes scandal, but nothing wealth can’t eliminate. Now in her 70’s, Becca has learned her recently deceased husband, has lost the family’s nest egg and “Eden” may have to be sold. It’s the days leading up to the Fourth of July weekend and Becca has to share the news with the family, including her three brothers who each have vested interests in “Eden,” but don’t share her love. The novel alternates between past and present and includes actual historical references, such as the hurricane of 1938. EDEN also includes episodes of how women were “banished” to “hospitals” for post-partum depression, alcoholism and experiencing difficult pregnancies. Blasberg fluidly highlights society as it changes over eight-decades. That’s why we love reading novels about family’s, their ups and downs, particularly their problems, because they’re never the same – but rich or poor, we’ve all got them. EDEN is a gem of a novel and I’m quite surprised it’s Blasberg’s debut. I look forward to her future work. A sweeping family saga, Eden chronicles four generations of Meister Fitzpatrick women from 1915 to 2000. The book centers on an extraordinary summer home aptly named after the Biblical paradise. As the novel opens, the family matriarch, Becca, is faced with the loss of this beloved home due to her late husband’s financial missteps. She is also planning to disclose a long-held secret to her extended family over a Fourth of July weekend. Fireworks result from both as family love and loyalties are A sweeping family saga, Eden chronicles four generations of Meister Fitzpatrick women from 1915 to 2000. The book centers on an extraordinary summer home aptly named after the Biblical paradise. As the novel opens, the family matriarch, Becca, is faced with the loss of this beloved home due to her late husband’s financial missteps. She is also planning to disclose a long-held secret to her extended family over a Fourth of July weekend. Fireworks result from both as family love and loyalties are tested and resentments emerge. Eden is both a marvelous summer read and a fascinating look at the changing roles and choices available to women throughout the 20th century—and how these choices, or lack of choice, reverberate through generations. You will love this book! I certainly did. REVIEW: What a read. From cover to cover I adored this book. It was heartbreaking and honest and deep and richly driven by the characters. I thought that the book was one of those reads that is hard to forget because you become so emotionally invested in the characters and the story. I wanted to speed through the book and savor it slowly, at the same time. I could see this being a movie or a mini series. So great! More like a 3.5. I loved the story and it started out strong. It was a great first book. But there were a lot of characters and parts to the story that weren't developed well. An engaging story about several generations of a family, centered around their summer home in New England. An incredibly well-written first novel from this author, I look forward to reading more from her! Becca Meister lives in her family home of Eden on Rhode Island. Her father built it following World War I. She has always lived at the house, but due to the debt that her husband left her with, she may now have to sell it. She wants to sell her share to her brother, so that the house can be kept in the family. For July 4th in the year 2000, Becca invites her whole family to give them a big announcement. Not only does she have something to tell the family, but her granddaughter, Sarah, has return Becca Meister lives in her family home of Eden on Rhode Island. Her father built it following World War I. She has always lived at the house, but due to the debt that her husband left her with, she may now have to sell it. She wants to sell her share to her brother, so that the house can be kept in the family. For July 4th in the year 2000, Becca invites her whole family to give them a big announcement. Not only does she have something to tell the family, but her granddaughter, Sarah, has returned from college pregnant. Becca invites her brothers and their wives, her son and his family, and her sister-in-law for this family reunion. However, some family members can’t handle the news. I struggled with this book. There were so many characters that I couldn’t keep track of them. About half way through I thought I had them all figured out, but then I got some names mixed up. I don’t like when a story is difficult to read without the help of a family tree, or taking notes. Another thing that made it confusing is that it jumped back and forth between periods of time, and generations in the Meister family. It alternated between the “present” on the July 4th holiday in 2000 with Becca’s children and her siblings, and the early 20th century with Becca’s parents and her brothers. I picked up this book at a great local book store in Westerly, RI. I love historical fiction, and I love that part of RI - so I was intrigued. Besides, I was on vacation. The book provides a look into a privileged lives of women whose families summer in Long Harbor, RI. Based on the descriptions, Long Harbor must be Watch Hill - with it's large summer homes and beautiful crescent beaches. I enjoyed the descriptions, and the historical events (like the hurricane of 1938.). I wanted to love the boo I picked up this book at a great local book store in Westerly, RI. I love historical fiction, and I love that part of RI - so I was intrigued. Besides, I was on vacation. The book provides a look into a privileged lives of women whose families summer in Long Harbor, RI. Based on the descriptions, Long Harbor must be Watch Hill - with it's large summer homes and beautiful crescent beaches. I enjoyed the descriptions, and the historical events (like the hurricane of 1938.). I wanted to love the book, but I had a few problems with it. First, the author goes from past to present - not unusual. What was at times hard to follow is that the story is told from many different perspectives. It was a little jarring. One moment you in the perspective of Sadie, the original matriarch, and the next moment you are getting the POV of Rachel, her grand daughter. Both describe the main character, Becca, in not very flattering terms. So it's a little hard to embrace Becca as the protagonist. But my biggest problem with the book is the passivity of the female characters. I know that it takes place in a different time, but most of the female characters were passive, victimized, overlooked, and generally unable to have a say in her own future. The matriarch, Sadie, is involuntarily hospitalized for over a year for post-partum depression. For the rest of her life her husband makes decisions without consulting her and avoids "upsetting" her. Her daughter Becca learns after her husband's death that he has left her with no means (having squandered her inheritance.). Her daughter Rachel is a depressed alcoholic (why - she seems not to have ever had a job.). And her daughter is pregnant, hoping her much older college professor boyfriend will marry her. I kept hoping that the women would band together to save the family's summer home. But instead they look to the men in their lives to resolve their fate. That was a major disappointment. It seems that their wealth and privilege held them hostage - to convention, and to the dictates of the men in their lives. I get that this may have been the point - but I was hoping they would rise in the end. It just didn't happen. A wonderful debut from a promising author! Loved every page! Eden, a multigenerational family saga with themes of mother/daughter relationships and expectations, unwed girls facing pregnancies, adoption, privilege, women’s voice and power (or lack of), and family traditions. The most interesting part of the story for me was comparing the experiences of three unwed girls who faced unplanned pregnancies in different time periods over 8 decades. (More detail about this on the blog.) I recommend this book for readers who love well-told family sagas, for reade Eden, a multigenerational family saga with themes of mother/daughter relationships and expectations, unwed girls facing pregnancies, adoption, privilege, women’s voice and power (or lack of), and family traditions. The most interesting part of the story for me was comparing the experiences of three unwed girls who faced unplanned pregnancies in different time periods over 8 decades. (More detail about this on the blog.) I recommend this book for readers who love well-told family sagas, for readers who might want to discuss thought provoking themes from female perspectives, and readers who might have familiarity with Rhode Island (or summer beach resort living!). Speaking of resorts, this would be a good beach vacation read. *reader tip* There are a lot of characters to track, and thankfully the author provides a family tree; however, you might want to take notes as well. Find my full ⭐️⭐️⭐️⭐️ review on the blog! The adage you can't judge a book by its cover comes to mind. While a picture of dunes with endless sky on the cover draws the reader into a stand out beach-read, EDEN is much more than that. Through the character of Sadi Meister, the author connects the reader with an account of postpartum depression so vivid that it may have the power to inspire a more open, mainstream conversation about holistic mental health resources and interventions for new mothers, new fathers and their children. Just as The adage you can't judge a book by its cover comes to mind. 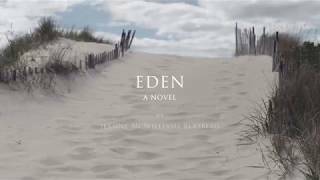 While a picture of dunes with endless sky on the cover draws the reader into a stand out beach-read, EDEN is much more than that. Blasberg expertly alternates a sweeping lifelong tale of a man and his dream of a beach home with the events of a summer almost a century later. From almost the very first page, this book drew me in and left me desperately wanting to live at Eden or at the very least, visit for a weekend. This book is a captivating and gorgeous story of generations of family and the intricacies of those relationships. It's a love story to a family property and the beach community it inhabits, but most of all, it Blasberg expertly alternates a sweeping lifelong tale of a man and his dream of a beach home with the events of a summer almost a century later. From almost the very first page, this book drew me in and left me desperately wanting to live at Eden or at the very least, visit for a weekend. This book is a captivating and gorgeous story of generations of family and the intricacies of those relationships. It's a love story to a family property and the beach community it inhabits, but most of all, it is a story of mothers and daughters. This is an astounding debut and a must-have book for every beach bag this summer. I can't wait to read Blasberg's future work. Stunning and heartfelt. Full review to come. I was lucky enough to win a copy of Eden in a bookstagram giveaway co-hosted by the author. If you haven't picked up this one yet, it is time to spend some time at Eden. Eden centers around the Meister family's summer home, which is named Eden. It evokes that sense of peace and tranquility that is only possible at the beach. Yet underneath the surface hides generations of family secrets and trauma. Eden is a fantastic story on so many levels. Blasberg creates characters who are so real that the I was lucky enough to win a copy of Eden in a bookstagram giveaway co-hosted by the author. If you haven't picked up this one yet, it is time to spend some time at Eden. Eden is a fantastic story on so many levels. Blasberg creates characters who are so real that the reader expects to look up and see them. She weaves in the present day with the family's history, seamlessly jumping between eras. But by far my favorite aspect of Eden was its messages about reproductive freedom and bodily autonomy. Each generation of women in the family has its own trauma, its own "dirty secret." Each story is informed by societal expectations and stigmas surrounding women and childbearing. These women are forced into lives they don't want and choices that are not theirs to make. It is fitting that a midwife enters the story as a positive figure, signifying the power of a woman's right to choose what happens to her body. Jeanne Blasberg is the author of EDEN: A Novel. The winner of the Beverly Hills Book Awards for Women’s Fiction, and finalist for the Benjamin Franklin Award for Best New Voice in Fiction, and Sarton Women’s Book Award for Historical Fiction. EDEN was released in May 2017 by She Writes Press. Jeanne's second novel, The Nine, will be released by She Writes Press in August 2019. After graduating from Jeanne Blasberg is the author of EDEN: A Novel. The winner of the Beverly Hills Book Awards for Women’s Fiction, and finalist for the Benjamin Franklin Award for Best New Voice in Fiction, and Sarton Women’s Book Award for Historical Fiction. 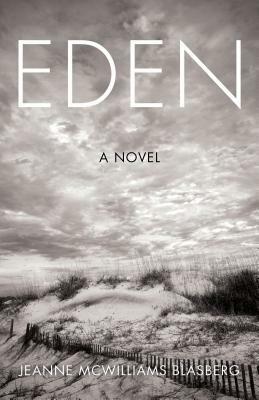 EDEN was released in May 2017 by She Writes Press. Jeanne's second novel, The Nine, will be released by She Writes Press in August 2019. After graduating from Smith College, Jeanne embarked on a career in finance. Even as she worked primarily with numbers, she always had an interest in writing. She has been an avid journaler throughout her life, eventually taking inspiration from her childhood writings to pen EDEN. She is a student and board member of Grub Street, one of the country’s pre-eminent creative writing centers, where she is working on her second novel. Jeanne is also a board member of the Boston Book Festival. Jeanne and her husband split their time between Boston, MA and Westerly, RI. She loves to travel, play squash, ski, and enjoy the sunset over Little Narragansett Bay.